Regularly relaxing and refuelling is vital in order to stay on top of the challenges of daily life, and a change of environment can help hugely. Short stays in the sunny south can help greatly with regaining your strength and energy. A spa weekend in Italy is pure relaxation. The unique combination of beautiful countryside, the charmingly spirited manner of the locals and all-round relaxing spa treatments – memorable experiences are a guarantee here. 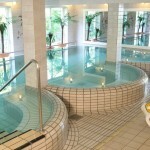 Which region is best for a truly successful spa weekend? Italy has so much to offer here. 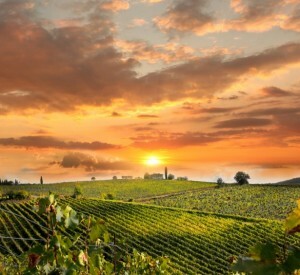 The southern Italian dream destination remains the uniquely beautiful Tuscany. Watching the gently undulating hilly landscape, time seems to stand still. It’s the perfect atmosphere for health and vitality treatments such as Fango active mud packs. A natural remedy, this curative mud is a true all-rounder, relaxing the muscles, improving the circulation and even easing pain. You’ll also find high-quality spa therapies in breathtakingly beautiful regions such as Apulia, Umbria and Venice. A spa weekend here offers the possibility to try out traditional Indian treatments. The term Ayurveda, known across the world, refers to a healing method which is recognized and taught as a science in the Asiatic region. A stay in comfortable accommodation where you can enjoy living according to the three Ayurvedic principles of life is a unique experience. As the northernmost province of Italy, South Tyrol also offers perfect conditions for a wonderful short holiday with the wellness factor. As well as soothing treatments such as Fango mud or Ayurveda, a yoga course is also a good opportunity to relax your body and your mind. 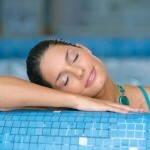 The ancient art of deep relaxation is well suited for taking a short time out from the stresses of daily life. Italy has many opportunities to discover the secrets of the spiritual and bodily exercises of this traditional Indian teaching while on a spa break. Taster courses for beginnings are just as easily bookable here as courses with new techniques for advanced practitioners are. Of course, amongst the multitude of dream holiday locations in Italy, the island atmosphere must not be forgotten. If you’re looking for something really special for an exciting spa break, Ischia is the perfect choice. 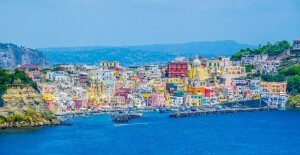 This pearl of an island in the Gulf of Naples offers a unique spectacle for nature-lovers. The stunning landscape created through its volcanic origins shows one of Italy’s finest sides. Thick vegetation in the north and an exceptional diversity of species create the perfect backdrop for a wonderful short holiday. Find pure relaxation with a comfortable stay at Lake Garda. Italy’s largest lake has long been attractive to lovers of a holistic approach to health. Purification through fasting is just one possibility here for bringing the soul and the body into harmony once more. One thing is for sure: a spa holiday in Italy will refresh you and provides a much needed energy boost.